Here is a quick little round up of different tips on how to stop binge eating and how to heal from binge eating disorder. Several of these tips are longer posts in other parts on this blog, so you can bookmark this page and come back and read more when you are ready or just go through the tips quickly. Enjoy! 1. )Eat a balanced, healthy breakfast with protein every morning. Starting your day off with a solid meal will stave off hunger and mindless eating during the day that can trigger binge eating. 2. )Give up Dieting. Diets actually cause binge eating. Instead begin to adapt healthy eating patterns by adding a healthy habit instead of subtracting a kind of food or food group. 3. )Get Support. Binge eating is a disease of isolation and secrets. When you attempt to recover in private, you perpetuate the isolation that drives the disorder. Getting support helps you to be accountable and helps you to talk it out with other people who are going through the same issues. Good places to go to for support: A therapist, a 12 step group, an online support forum, online or telephone meetings or the Recover From Binge Eating online program to help support and teach you how to stop binge eating. 4. )Don’t let yourself get very hungry. When you let yourself get very hungry, your blood sugar drops which in impairs cognitive skills. Your body just needs glucose and it needs it now, so instinctively, you will start to grab for anything you can to raise blood sugar. Instead, use the hunger and satiety scale to help yourself eat what your body needs. One of the tricks that people use when they are figuring out how to stop binge eating is to eat protein first, at least 30 minutes before a meal to help stabilize their blood sugar. 5. )Learn intuitive eating. This is the opposite of dieting, where your body is the wise one that lets you know what, how much, and when you need to eat. Your body wants to be healthy, so learning to listen and respond to it, will help you to find peace with food and with your body. 6. )Exercise Daily. This doesn’t mean spending arduous hours at the gym or running 5 miles a day. This is about moving your body. The more you move it, the more aware of it you are, and the better you begin to treat it. This can mean anything from 30 minutes of walking each day, to doing yoga, or going on a jog, or lifting weights or even just window shopping. But moving and being out in the world is crucial. Need some motivation to exercise? Try this. 7. )Learn Mindful Eating. Mindful eating is the act of slowing down and actually noticing, tasting and being with your food. Mindfulness is about being in the here and now. Binge eating is about chasing the taste. You don’t necessarily taste your food when you’re bingeing because your waiting for the next taste, the next bite, and this hunger is insatiable. When you incorporate mindful eating, you learn how to stop and interrupt a binge. Mindful eating is peaceful, yet it is an amazingly effective tool in fighting binge eating. If you would like a free mindful eating meditation download, click here! 8. )Add more protein. Nutritionally, protein will feed your brain, keep you feeling fuller longer and it will help your brain to function better so that you can make better choices about what kinds of food to eat. This doesn’t mean eschewing carbohydrates, but eat your protein first so that you can make better choices about the next bite. 9. )Set a timer. When you feel the urge to binge, set a timer for 20 minutes, in that time, do something different other than binge. Let yourself know that you can binge if you still want to in 20 minutes. Often the very act of interrupting the compulsion will stop it. 10.)Meditate. Daily meditation will help you to slow down so that you can think about what you’re doing. You don’t even have to do it every day or make a big deal about having a practice. You can spend a few minutes each day breathing. Even in the middle of a work day, you can escape to the bathroom, close your eyes and breath for a few minutes to help slow down and ward off stress. You might want to download meditations to stop binge eating. 11. )Eat by the clock. If you are too entrenched in binge eating, the when part of intuitive eating might be difficult. So, at the beginning of learning how to stop binge eating, when you are first starting to recover, you might want to set some parameters around when to eat. Example. Breakfast 8am. Snack 11am Lunch 1pm. Snack 4pm. Dinner 8pm. Or whatever feels right for your. Don’t forget to include at least three meals per day. 12. )Give Up Diet Coke. A lot of people who suffer from Eating Disorders are addicted to Diet Coke. There are some theories that postulate that diet drinks cause weight gain. That may or may not be true. But what is true is that many binge eaters attempt to substitute food with diet soda. This causes bloating, discomfort and lethargy, all of which contribute to body disconnection making binge eating more palatable. 13. )Remind yourself “I can always have it later.” Because binge eaters view food as so black and white (this is a special occasion, I have to eat it now) they tend to justify their binges. Just because it’s Thanksgiving doesn’t mean you have to eat Pumpkin Pie. Seriously. You will not stay up all night regretting what you chose not to binge on. This isn’t the last time that you can eat ice cream, it’s not black and white, it’s not all or nothing, that pumpkin pie will always exist. But do you need it right now? Can you have it tomorrow instead? Think about what your body needs in the moment. 14. )Know your triggers. Does going to the movies make you binge on popcorn? Does Halloween make you binge on Almond Joys? Does going to your parents house make you binge on bread? Does looking at Facebook cause you to binge on candy? Does looking at fashion magazines cause you to binge on pasta? Get to know why and when you binge and intercept these events at the pass. Find ways to deal with the binge before it happens. For instance, if you know that going to the movies causes you to binge on popcorn, get there without time to go to the concession stand. 15. )Get more sleep. Being tired can cause binge eating. Again, being more cognizant and mindful of what you are doing can help you to extinguish these behaviors. 16. )Treat yourself with Love. Remember to do nice things for yourself at least once a day. This could be showering, taking care of your nails, your hair, your skin, making your bed. Being self nurturing will remind you of your own value so that you can feel better about yourself. 17. )Don’t compare yourself to others. You have your own path and your own dharma. Comparing yourself to others takes you off your path and stunts you. Try to look forward and move forward on your path rather than stopping yourself by looking longingly at other people’s paths. 18. )Be kind to your body. Learn how to love your body. Don’t say mean things to your body, don’t call it fat. Don’t engage in fat chat with other people. Don’t bond with others by discussing how fat you are or what different diets your going to go on. Don’t talk about other people’s bodies no matter what they look like. When you think about how to stop binge eating, a big part of that is letting go of negativity and bringing more kindness into your world. 19. )Learn how to fight the urge to binge eat. Remember that wanting to binge isn’t enough of a reason to binge. Even if it feels overwhelming. Remember that you are stronger than the urge to binge. 20. )You are not perfect. If you have a slip, just start again. You don’t have to wait for the next day, you have millions of moments to start over. Start over immediately. Wash your hands, wash your face, take a shower and just recover from the binge. You can do that in any given moment. 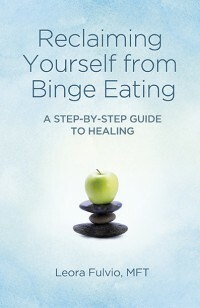 Posted in: binge eating, eating disorder, intuitve eating, mindful eating, mindfulness. Tagged: addicted to diet coke, binge eating and protein, binge eating triggers, diet coke and binge eating, diets don't work, exercise, how to eat intuitively, how to fight the urge to binge eat, how to stop binge eating, hunger and satiety scale, intuitive eating, meditations for binge eating, mindful eating, night eating syndrome, Support for Binge Eating, tired binge eating, top 20 ways to stop binge eating. Number 10, meditation, was a life saver for me. It gave me the insight into myself that I needed for dealing with binge urges, kept me calm and helped me deal with all my other stresses that contributed to why I binge ate. I’m really struggling with my relationship with food at the moment and I’m beginning to accept the fact that I might be suffering from BED. I identify with so many of the things on this list, thing I didn’t even realise could be symptomatic of a larger problem. It’s scary to think I may have an actual problem but also a huge relief – I’m not just a glutton with no self-control – and hopefully now I can use this list to try and overcome this issue. All I can say is thank you. This post is the reason I have decided to get help for my BED. I’ve been struggling for quite some time now & this just really seemed to help. thank you for your note. I’m so glad you found this helpful. Please do check in and let us know about your recovery.